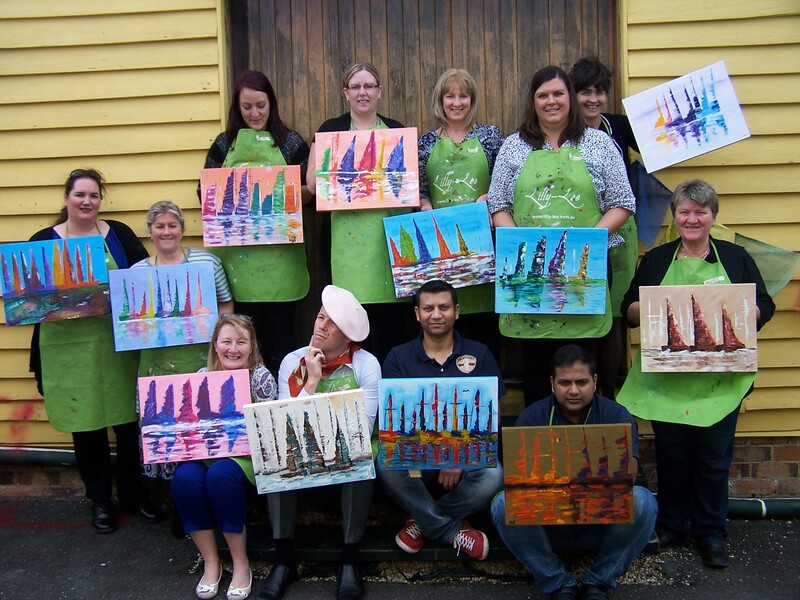 Businesses looking for new exciting Corporate Team Building Activities and exercises need look no further that Lilly-Lee Gallery's Corporate Workshops. 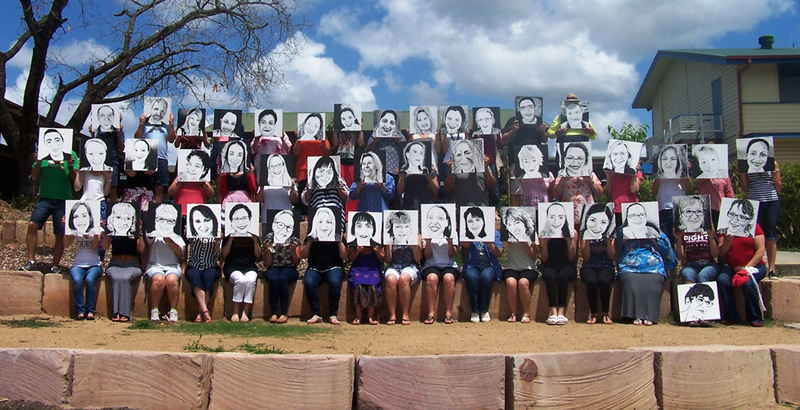 Lilly-Lee Corporate Workshops offer unique opportunities for groups wanting a challenge that involves a dynamic team-building experience or a space to rediscover a way to de-stress, relax, unwind and refresh your creative minds. Discover how ART can help you and your colleagues explore a creative and refreshing approach to business. 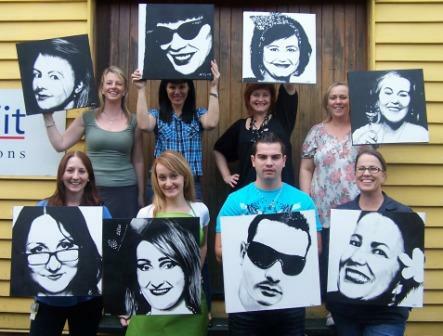 Bring out the fun creative side of your staff in a social and relaxed atmosphere. With the guidance of our experienced Teachers the participants will embark on a fun filled, dynamic and exciting journey, creating an art piece that will hang in their offices, It will be a reminder of your Workshop and will be a talking point for many years to come. 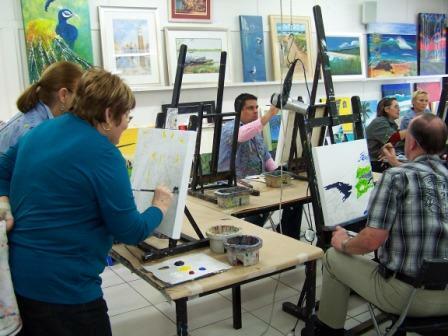 Contact the friendly staff at our Gallery on 33797828 to tailor your next event. "Thank's for all your help with putting together the private event on Saturday 18th February, I just wanted to send through a compliment / thank you note because everyone really had such a great time! We’re just a bunch of friends who like to do things (met through dance, work, or friends of friends) we don’t really have a name, but you could call us: "Bubbly Bombshells" or "Girls Just Want to Have Fun"
Thank you Lilly-Lee Art Gallery and Studio for creating such a fun evening, it was an absolute pleasure to organise this event through you and appreciate you accommodating my requests for the night. 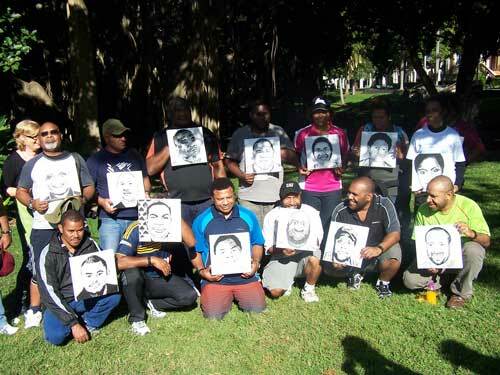 "I just wanted to send you an email to say a big THANK YOU for conducting such a great portrait workshop with our Ok Tedi group last Thursday in the City Botanic Gardens. The group really enjoyed this activity and I think all (including us!) were extremely impressed with the quality of the finished artwork. Your teaching method and warm manner were perfectly suited to the group and I personally also really appreciated your flexibility in dealing with our last minute provision of photos, locations for set up, etc. etc. 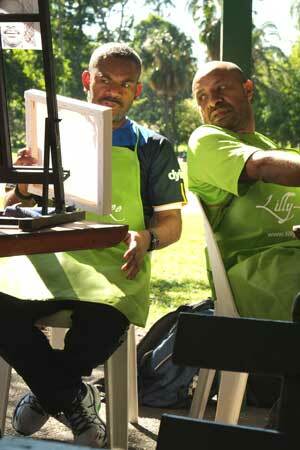 Perhaps I can convince my husband to come and be part of one of your art classes again in the future.